If your child has been diagnosed with dyslexia, you may be worrying that he or she will never learn to read at the same level as other kids. Even though learning this skill may require hard work and innovative teaching methods, children with dyslexia can learn to read. Keep reading to find out a few tips and techniques that may help you teach your child. Dyslexia is a generic term for any learning disability affecting one's ability to read and comprehend words, symbols and letters. It can take many forms and there are different symptoms based on what type of dyslexia your child suffers from. Talk to your child's teachers, school counselors and other education professionals to plan the best course of action. It may also be necessary to take your child to see an expert, like a doctor, child psychologist or reading expert. The severity of your child's condition will affect which teaching techniques will be the most effective. Because learning to read may be frustrating for your child, be patient, encouraging and positive about even the tiniest amount of progress. Create a dedicated reading area for child in your home that serves no other purpose. Make sure that this space is tidy, uncluttered and has no distractions, such as the Internet or television. 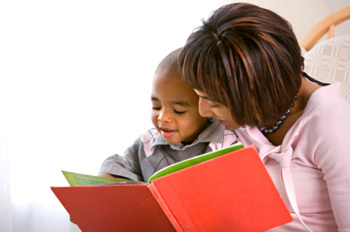 The more often you read to and with your child, the more likely he or she is to improve. Choose reading level-appropriate books that your child finds interesting and read them aloud on a daily basis. As you read, guide your child's finger to follow the text. Have your child repeat words, sentences and letter sounds after you. Reading specialists use a variety of methods to teach children with dyslexia but often focus on phonological training, which involves teaching kids to recognize the letters and sounds of the alphabet. The Internet is a solid resource to find free games, activities, flashcards, worksheets and other learning materials that can help you work on phonics with your child. There are a number of helpful online and real-world resources that you can use to gather information and help your child. For example, the International Dyslexia Association has articles for parents about how kids with dyslexia can learn to read. You can also purchase or find free lessons and activities on the Internet or in education stores that are designed specifically to help dyslexic kids learn how to read.